The one bedroom suites at Cedar Lodge at Brickyard Mountain each have a spectacular seasonal view of the big lake and the Ossipee Mountain range. 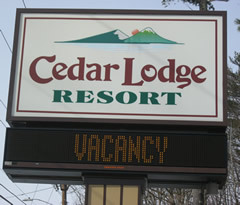 Cedar Lodge is 3/4 mile from Weirs Beach. 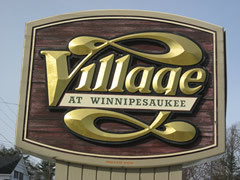 The two condos at The Village At Winnipesaukee are a few minutes walk downhill to the Boardwalk at Weirs Beach. 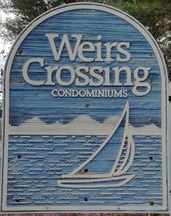 Unit 225 offers two bedrooms, and unit 134 has three.